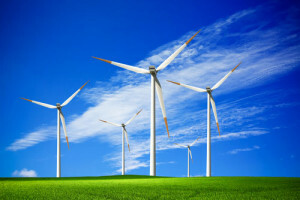 Are you a wind farm owner? Are you concerned about profits? The Wind Energizer is the best way to decrease energy costs and increase wind farm profits. It should be intuitively obvious that using a large, passive, and simple structure to increase the output of a large and complex machine will be worthwhile. When you run the numbers in greater detail, that is exactly what you get. First, submit your contact information in the form to the right. Download the Questionnaire, which asks for the information needed to perform computer modeling of your wind turbine and your return on investment. We will review the information to make sure that it is complete, but we will not start the modeling process without a minimum payment for the modeling.